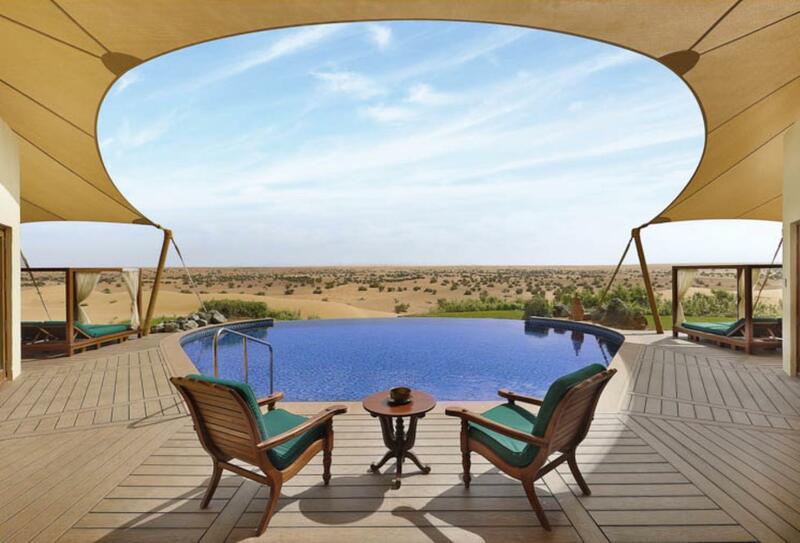 A secluded desert haven, Al Maha provides visitors with both privacy and timeless experiences. 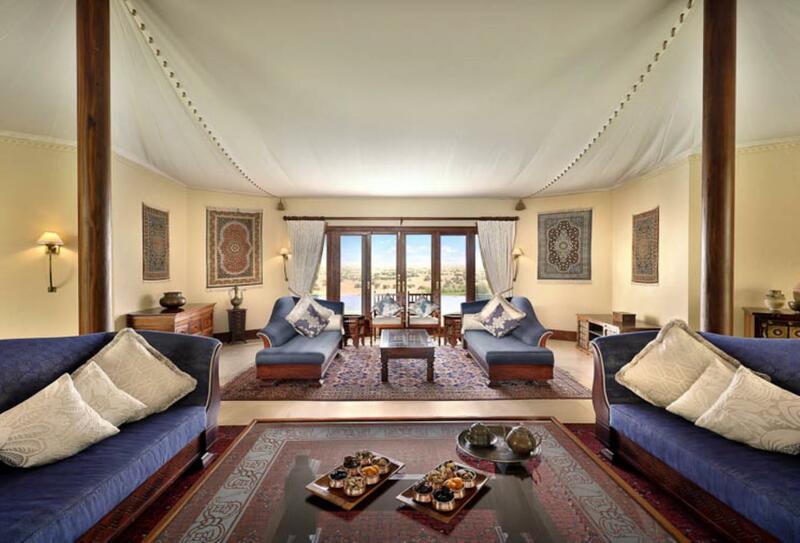 Suites are placed in a setting reminiscent of a Bedouin encampment and showcase authentic Arabian furnishings throughout; each opens out to an expansive wooden deck with private pool where romantic meals can be enjoyed in privacy. 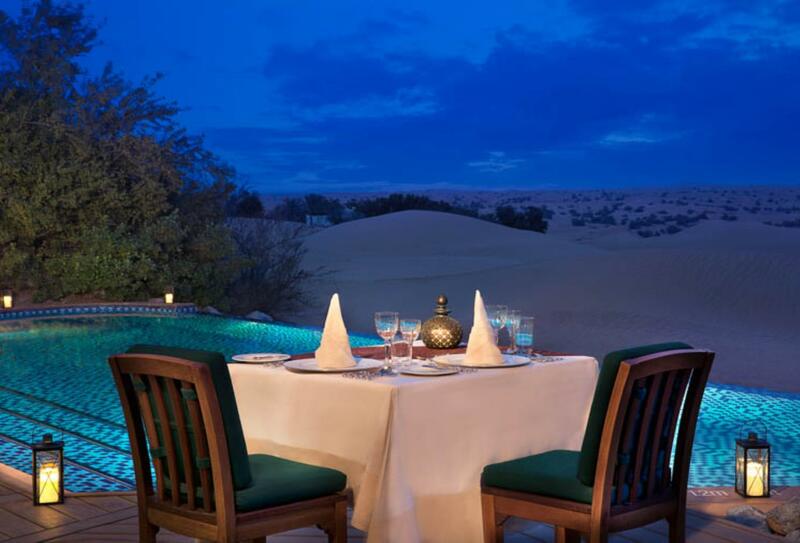 If not dining from the comfort of your suite, then you can head to the signature fine dining restaurant or depart on a ‘Dune Dining’ experience, with dishes served by the light of flame torches, under the Arabian sky at night. Activities include guided nature walks within the reserve, thrilling drives across the surrounding sand dunes, falconry displays and guided horse rides. 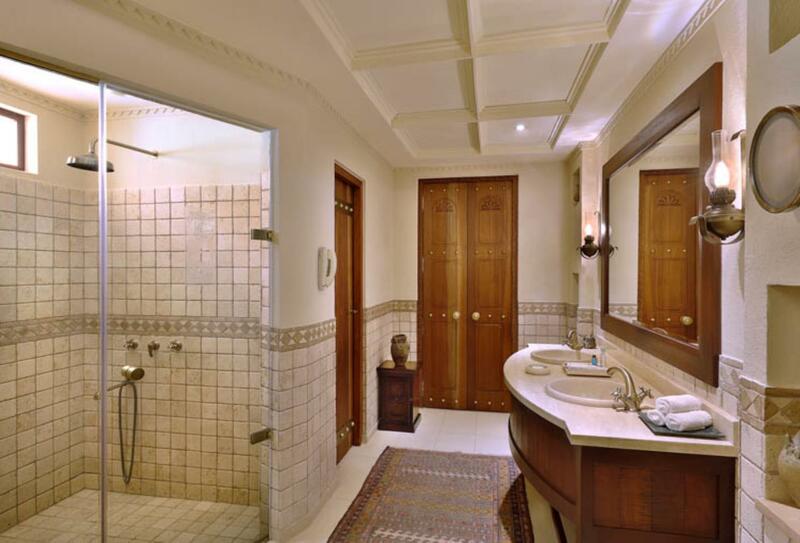 The resort’s ‘Timeless Spa’ lends to the ambience of undisturbed luxury and tranquillity. 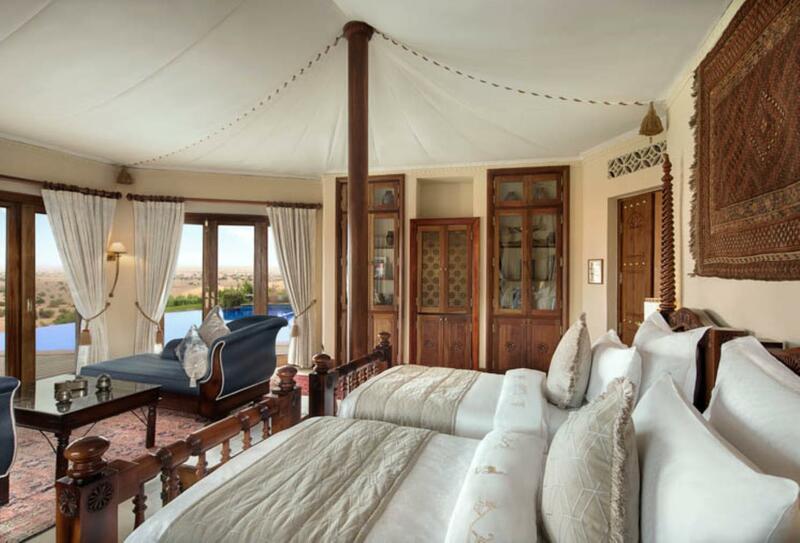 Bedouin Suites are decorated with authentic, handcrafted Arabian furnishings, antiques and artefacts such as the Bedouin jars for water and dates. A chest resides at the end of the super king size bed and a living area leads out to the wooden deck with sun loungers, dining facilities and a private infinity pool overlooking the desert. 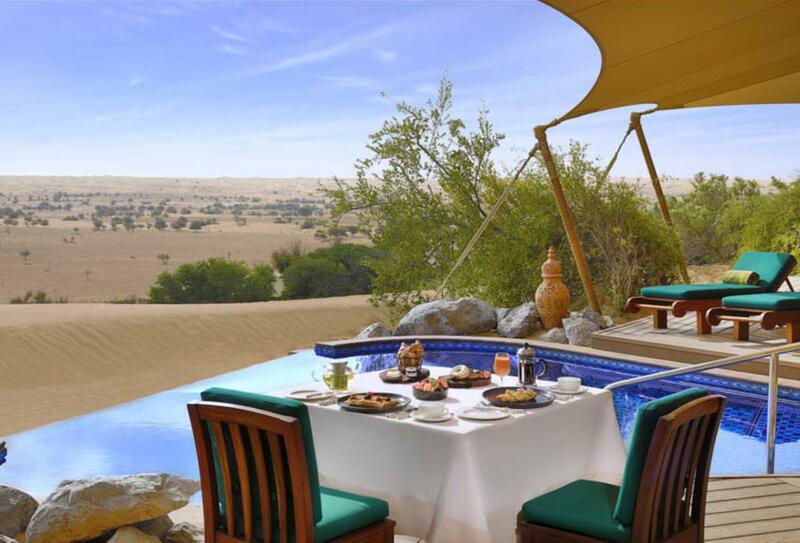 The expansive wooden terrace of this suite is furnished with sun loungers and a dining area and overlooks views of the desert from a private 7x5 metres pool. 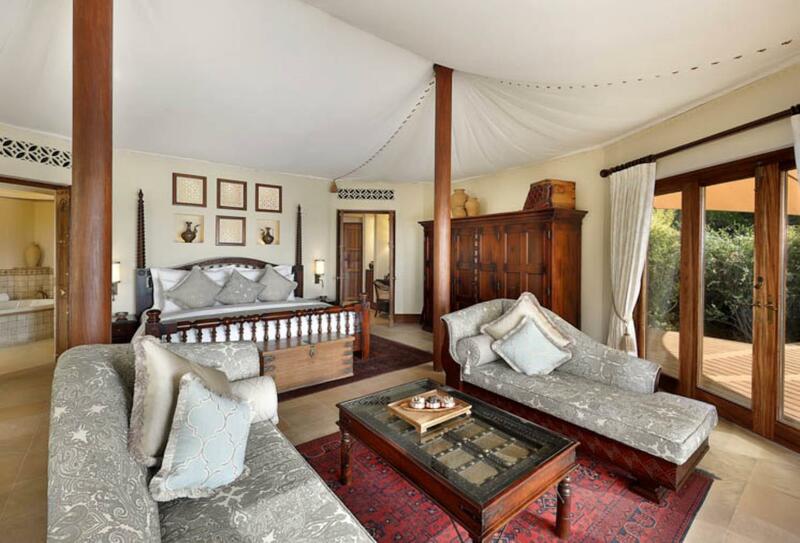 Suites comprise two bedrooms with super king size beds and a spacious lounge with Arabian artefacts and antiques. 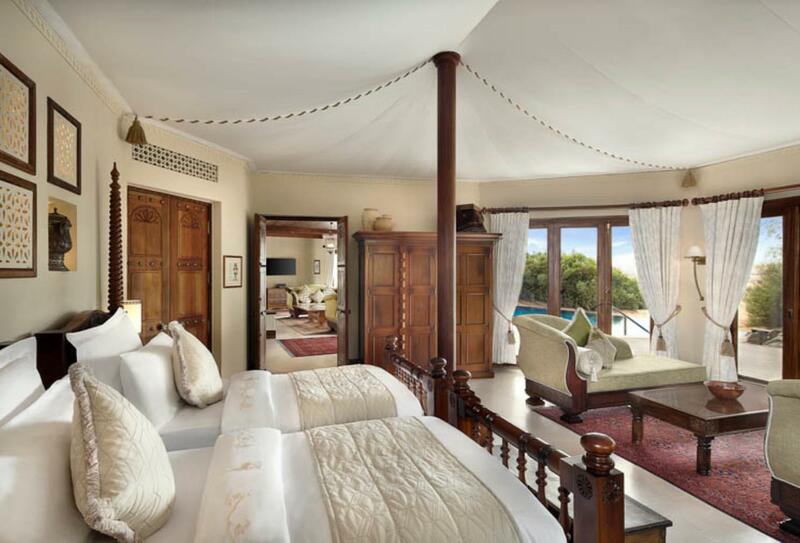 Set in a secluded area away from the main part of the resort, the Emirates Suite comprises two large bedrooms, a spacious lounge with dining area, kitchen and residential quarters for staff. A courtyard and deck around the pool provides ideal spots for dining and relaxation. These suites also come with additional benefits such as a bottle of champagne in suite on arrival, for full details see the tab above. 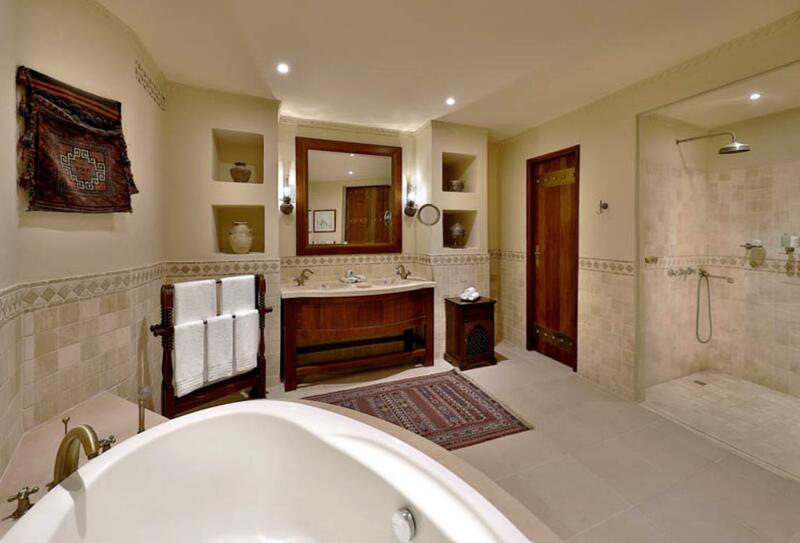 The most luxurious suite at the resort, the opulent Presidential Suite offers three bedrooms with handcrafted furnishings and antiques, a lounge with dining area, spacious kitchen, majlis and residential quarters. Excellent opportunities for dining can be found in the courtyard and moments of relaxation can be enjoyed in the large 10x8 metres private pool overlooking the desert. 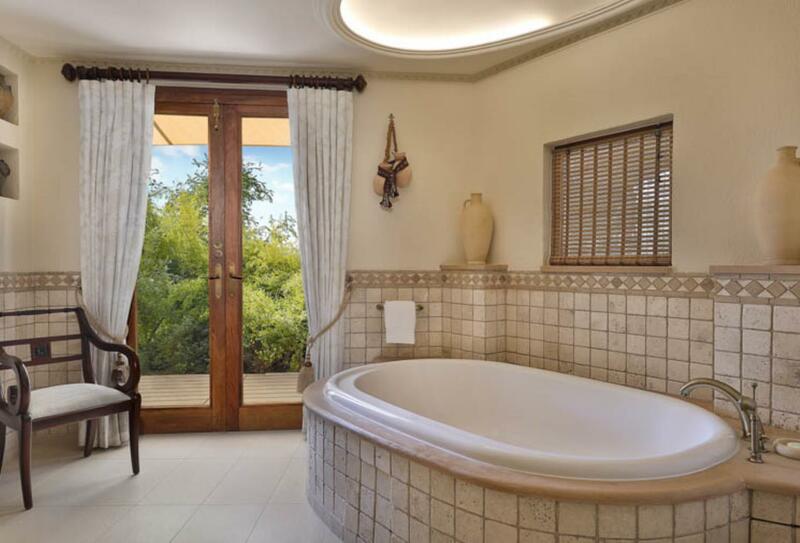 These suites also come with additional benefits such as a bottle of champagne in suite on arrival, for full details see the tab above. 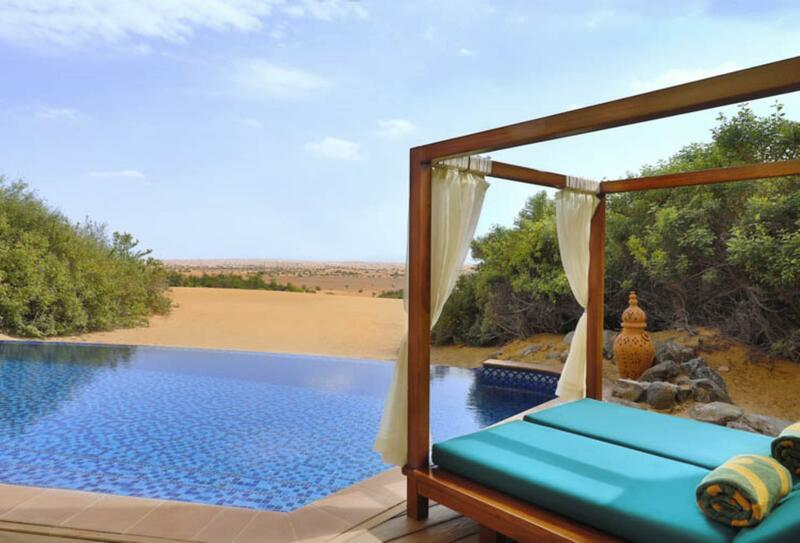 Al Maha makes an ideal destination for your romantic getaway to Dubai, and the resort offers a special honeymoon package to help you celebrate. A copy of the wedding certificate may be required. Honeymoon offer must be utilised within 6 months of wedding date. This traditional sport involves various species of falcons being “flown into the lure” in a display which highlights both the falcon and the falconers abilities. Falcons may be handled by guests under the supervision of one of the field guides and this takes place during and after the display. Duration: +- 1 hour. Guided horse rides generally take place during the morning and afternoon as this is when it is coolest. The resort has a variety of Arab and thoroughbred horses and these are recommended to experiences riders only, with a maximum weight limit of 85kg. Duration: +- 1 hour. Guided walks through the reserve allow guests to view the desert environment in more detail and include the use of binoculars for bird and animal viewing. Duration: +- 1 hour. 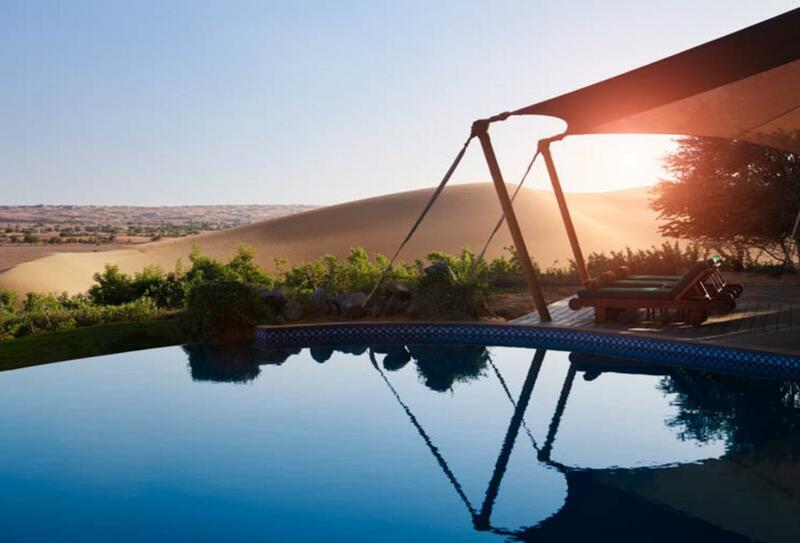 Thrilling dune drives take guests on a 4x4 drive across the big sand dunes surrounding the resort. Duration: +- 1 hour. Experienced spa therapists carry out a wide variety of wellness, rejuvenation and beauty therapies, set against the backdrop of the calm and peaceful desert. Signature treatments take a holistic approach to wellbeing and combine both Middle Eastern and South East Asian aromatherapy traditions. 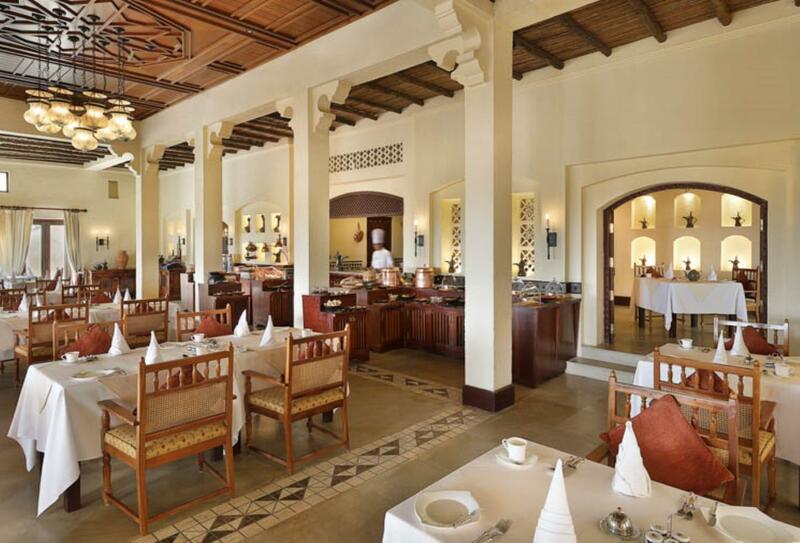 Signature, organic fine dining restaurant with a veranda overlooking captivating views of the reserve. Choose to dine either at the restaurant or in the privacy of your suite, with international and indigenous delicacies available for breakfast, lunch and dinner. Situated on the level above Al Diwaan, fitted with loungers and cocktail tables, the terrace bar offers a variety of creative cocktails and refreshing beverages amid expansive views of the reserve. A unique experience which takes place under the Arabian sky at night. 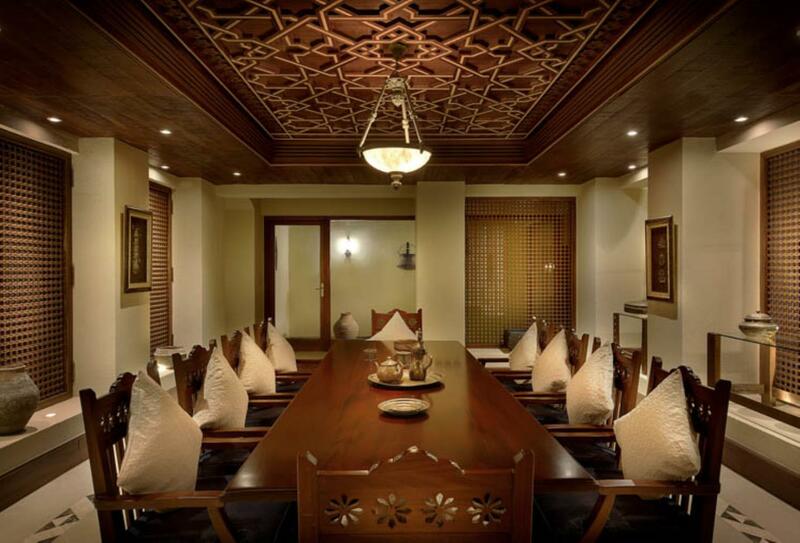 The food is exquisite and the ambience is enhanced by flame torches, Persian carpets and white linen. Romantic meals are tailor made according to your preferences and served on your deck overlooking the desert, or from the comfort and privacy of your suite. 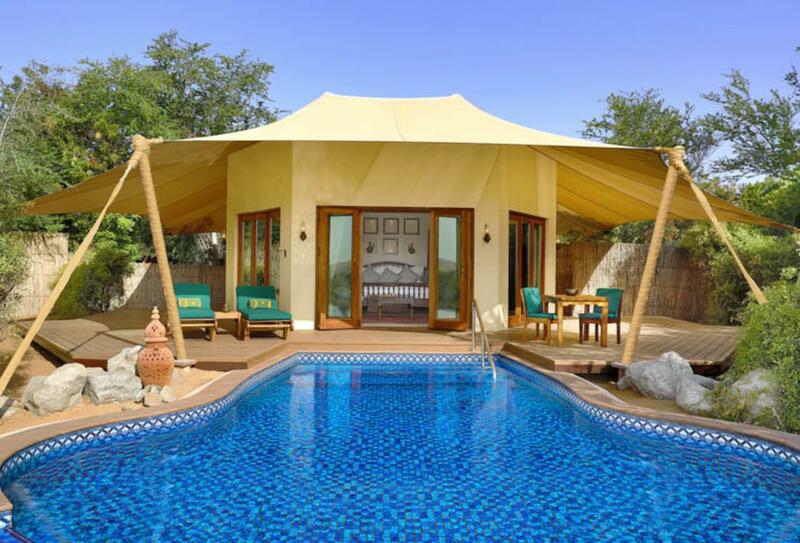 Al Maha is located within the 225-square kilometre Dubai Desert Conservation Reserve, one of the largest formally protected conservation reserves in the Gulf.